A quality HR leader is the backbone of a business. The glue that holds worker relations together. Remarkable HR leaders provide support for the business and its workers. So how can you work to become a top HR leader? What are the necessary leadership skills for HR professionals? Being a quality HR professional means being able to juggle an abundance of responsibilities at one time. In this insight we’ll outline how to be a HR leader, detailing some of the key attributes possessed by top HR professionals. One of the most important key traits of an HR Leader is the ability to develop the skills of their workers. Quality leaders are willing to take the time to engage with workers one-on-one and offer them any staff training and development resources they need. You should be a reliable mentor for employees, with the ability to provide quality advice when needed. Top HR leaders identify which workers need further skill development and reach out to them. Set goals for your workers. Motivate them. Give them focus. Watch their confidence bloom! Will developing certain skills make the worker a contender for promotion? If so, this could be great motivation for them to develop their own skills. The desire to take charge is a key attribute of successful HR leaders. Many top leaders are driven by their desire to help people, rather than by money. By investing yourself in your workers and caring about them, you give yourself the drive to take initiative in your work. If a worker comes to you with a problem, how motivated are you to find a solution? If you care about your workers, you should be motivated to assist them. By doing this, you’ll reinforce a positive reputation for yourself and raise morale. Essentially, you’ve got to want to help people. Being a top HR leader means being a people person. Just as you should want to go out of your way to help people, you should want to work alongside people and encourage teamwork. Successful teamwork is the basis for any successful business. It allows workers to draw on each other’s strengths whilst forgoing their weaknesses. In many businesses, the divide between employees and higher-ups is large, and causes a disconnect. By working alongside employees whilst reinforcing your role as HR leader, you can help close this gap and improve workplace engagement. Teamwork doesn’t just apply to yourself though. By encouraging teamwork and building your workers teamwork skills, you can be confident in their ability to collaborate in your absence. Consider holding business-wide teamwork workshops. Conducting fun, light-hearted training sessions and workshops is a great way of promoting productive skill development. It can also serve as a nice bonding exercise between employees and management. As an HR leader it’s your job to be constantly thinking about others over yourself. The people that make it to the top of the HR world are those who have a genuine passion for helping people. They have the needs of others in mind 24/7. Ideally, you should be walking into work thinking “how am I going to help people today?’’. The ability to multitask is key for quality HR leaders. Prioritising tasks and responsibilities comes hand-in-hand with this. HR leaders should have the ability to make snap decisions in prioritising the needs of themselves and others on short notice. For example, say you’re in the middle of some important personal work and an employee approaches you with an issue. In this situation, you need to be able to weigh up the importance of your own responsibility against the importance of helping your employee. How important does your work have to be to not prioritise helping others first? Your willingness to help in this situation will determine how you’re perceived by others. Being able to make a solid judgement and drop your own work to help others when possible is key to being a successful HR leader. Good communication skills are vital in HR and in the business world as a whole. As a HR leader, if you can’t communicate, motivate, and persuade others confidently you’re going to struggle keeping up. When you communicate in your business, you should be warm and friendly, but confident. Being too stern can put workers on edge, or put them off approaching you. That’s exactly what you don’t want. You can only perform the best as HR leader if your workers are comfortable talking to you. You must understand how each employee likes to be communicated with in order to produce the most positive results, and keep everyone happy. Good communication skills for HR leaders includes being conscious of sensitive topics. You need to be aware at all times of what information should be made available to who. Be mindful of sensitive information, because one accidental slip could lead to big trouble. But what good are your own communication skills if your workers don’t have the same? Nurture your workers and offer them the support they need to advance their interpersonal skills. This will allow them to communicate effectively amongst themselves, which may in turn reduce your workload as mediator and improve organisation culture. Luckily, there are many resources available to help you improve your communication skills. Take a look at one of our latest resources; Identify Barriers to Communication: 5 HR Relationship Building Books. Unfortunately, not everything in business is black and white. In fact, you’re probably more than used to being faced with tough situations. The answer to problems are often unclear, especially when those problems involve workplace disagreements. One of the key skills of top HR leaders is the ability to make confident, fair decisions. You need to take everything into consideration, think critically about the issue, and come to reasonable conclusions. Critical thinking is a key skill of the profession, and one that should be practiced regularly. Even so, keeping everyone happy is tough. Unfortunately, there will always be circumstances where someone will be unhappy with the conclusion, and that’s unavoidable. Sometimes no matter how hard you try, you can’t please everyone. In these situations, you need to try your best to be civil and understanding. Having the ability to defuse potentially hostile situations is a lifesaver, and will help minimise office upsets. Remember that you’re the mediator in these situations. Your input and choice of words could be the difference. Often HR leaders are the mainstays of their business. Businesses are constantly changing. Senior management switch ups are common, and someone needs to be the glue that holds the company structure together. As HR leader that role falls on you. It’s easy for employees to become unsettled in fast moving businesses, where workers come and go rapidly. As a leader and a people person you should offer stability in times of change. Top HR workers are understanding of their workers’ personal circumstances. Empathy is a key attribute in HR, and one that is necessary in reinforcing happiness amongst workers. HR leaders should be focused on improving their staff as workers, but they must also be respectful of them as people. Be empathetic in regards to workers’ personal issues when possible. This includes making an effort to remember your employees’ unique circumstances and take these into account when deciding how to approach them. Showing a little empathy in the workplace can hugely improve morale. It’s easy to get caught up in current affairs, especially in a busy, fast-moving workplace. But keep in mind that the role of HR leader is largely focused on the future. Many of the key responsibilities of the role involve developing your business and your workers with future goals in mind. Try not to forget this as you conduct your day-to-day operations. Quality HR leaders constantly preface their actions and intentions by asking ‘What future benefit will this have?’. Don’t be short-sighted, always look to the future and plan ahead. A popular buzzword in HR is emotional intelligence. Emotional intelligence is an individual’s ability to identify and understand the emotions and emotional state of themselves and those around them. For HR leaders, this means being able to recognise when your workers are feeling and behaving in certain ways, and reacting in an appropriate manner. 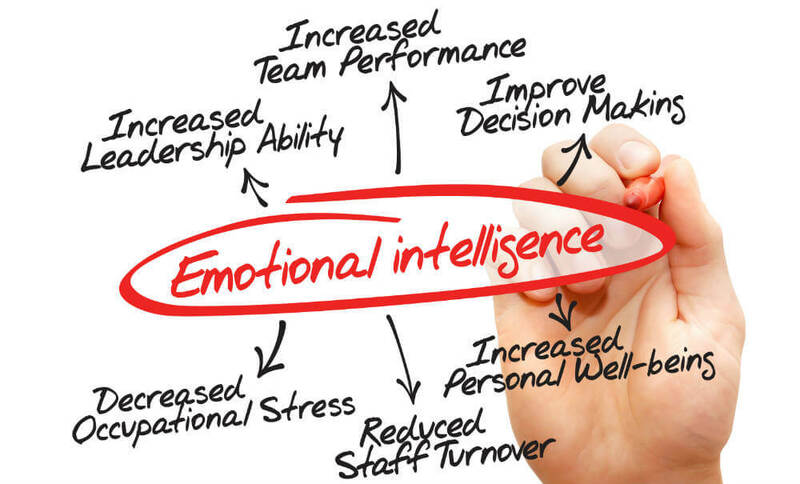 Having strong emotional intelligence will make dealing with and understanding your workers so much easier. As a bonus, by strengthening your emotional intelligence you can improve your own job performance and leadership skills as a result. People are complex. Truly understanding people can be difficult, we know. Especially in the workplace, many people are used to keeping quiet rather than speaking out about issues they may be having. This is why it’s so important for top HR leaders to have a deep understanding of workers’ behaviour and the meaning behind it. This includes paying attention to non-verbal cues, body language, and signs of deceit. With a bit of practice, body language of your workers can be surprisingly easy to read when matched with context. You can use contextual clues to determine who to pay particular focus to. Has one worker recently been given a heap of new tasks to complete? Keep an eye on their behaviour for indications that they may be frustrated or struggling. By catching this early and offering support, you can improve productivity and employee happiness. You should also try and learn to identify signs that workers are being deceitful or withholding information. Maybe it would be ideal if everyone in the workplace was open and honest, but often this just isn’t the case. This can be particularly important when identifying employees who are thinking of leaving. Drops in performance, disassociation, and lack of enthusiasm can all be signs that an employee is becoming disengaged in the role, or thinking of leaving. Catching this early allows you to salvage the situation, or if worst comes to worst, prepare the recruitment process in advance. But don’t be accusatory! Recognising signs is important, but at the end of the day these are still signs. They aren’t concrete evidence. Should you choose to confront employees based on signs you picked up, make sure to be friendly, tactful, and don’t accuse them of anything. Just as it’s your duty to give solid advice and guidance, you should also be fair in your criticism. Job evaluations are highly important to worker development and overall output of work. When performing evaluations, top HR leaders are critical but encouraging. They’re able to highlight areas for improvement in a motivating, positive manner, so that workers come out feeling driven, not deflated. It’s not all negative though, evaluations are an excellent opportunity for HR leaders to boost employee morale. Talk about where the worker has improved significantly, and where they excel. Encourage them to keep improving, and you may see a large boost in morale and skill development. Ultimately, you need to position yourself as the go-to leader for workers. You want your employees to have confidence in your leadership abilities. They should have faith in your abilities and count on you to help them when they most need it. Taking these factors into account when developing your own skills may just help you become the HR leader every business needs.